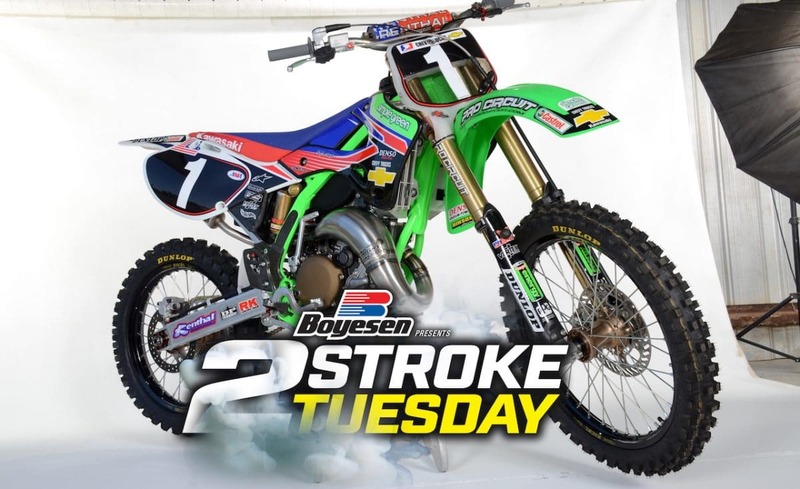 We feature a 2001 Pro Circuit Kawasaki KX125 replica build by freestyle athlete Blake “Bilko” Williams on this week’s Two-Stroke Tuesday brought to you by Boyesen. 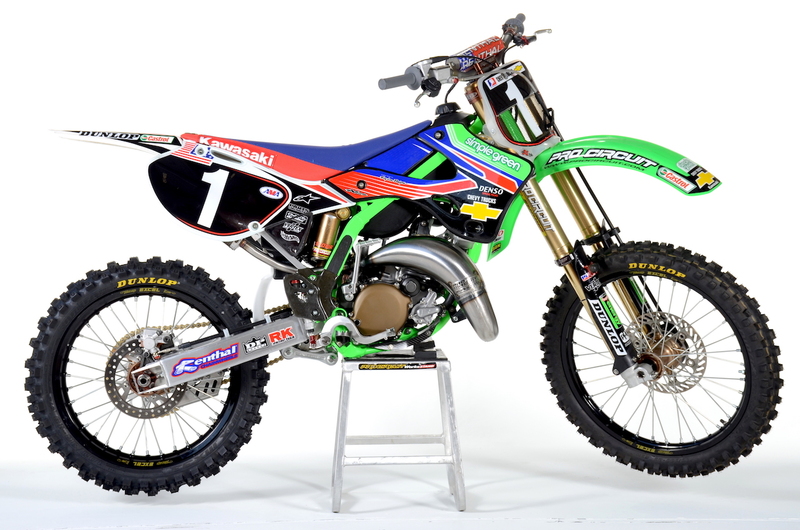 Yes, we went a little overboard with the amount of pictures this week but this KX125 is SWEET ! 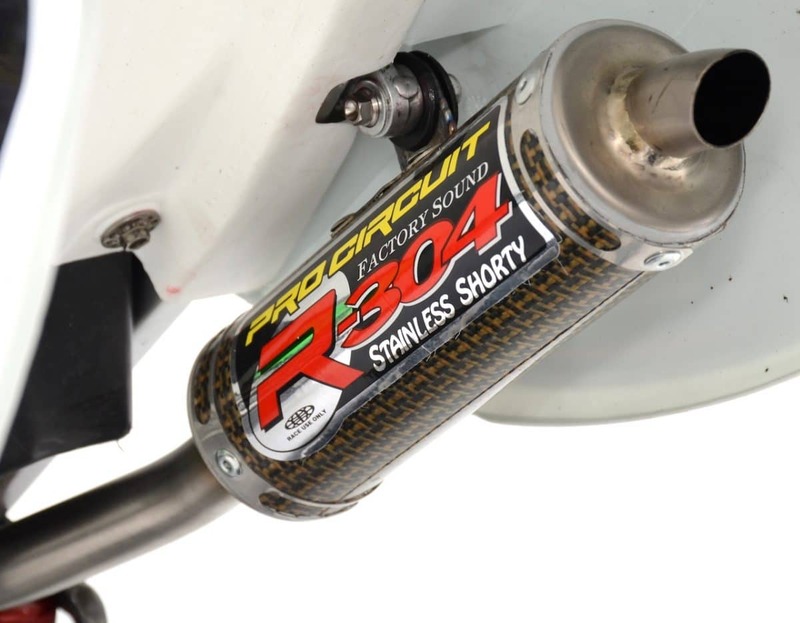 A new Honda CR500 part available from MSV Racing is featured in this week’s 2-Stroke Hardware section while 2-Stroke Theater is packed with four 2018 125cc videos and topped off with our 2018 125cc Shootout video for your viewing pleasure. 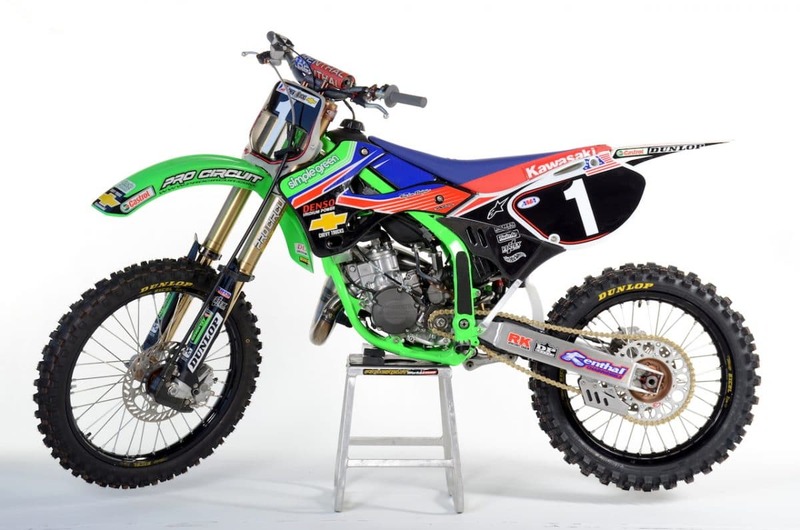 If you are a fan of early ‘2000s small bore two-strokes don’t miss the exclusive link to more at the bottom of this post. We see a lot of replica builds from all over the world but this one has got tons of meaning behind it. 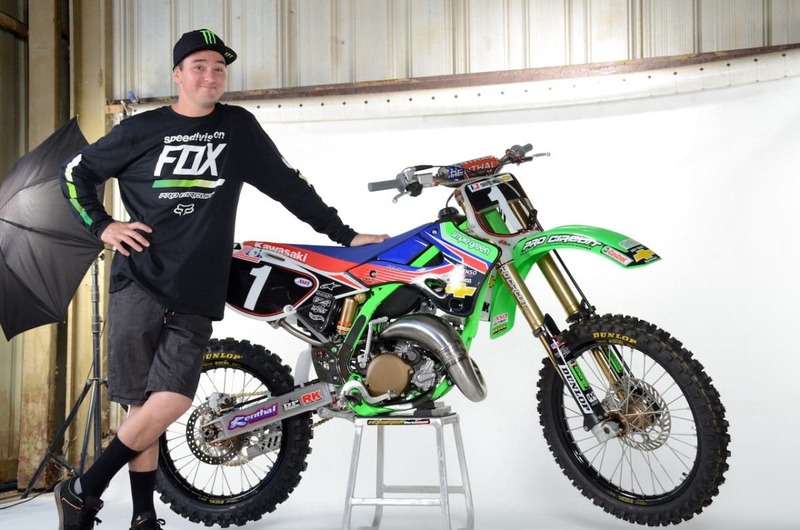 Growing up is Australia Blake “Bilko” Williams was a huge fan of American motocross scene and in the early ‘2000s PC Kawasaki’s had it all and it shows through in Bilko’s build. 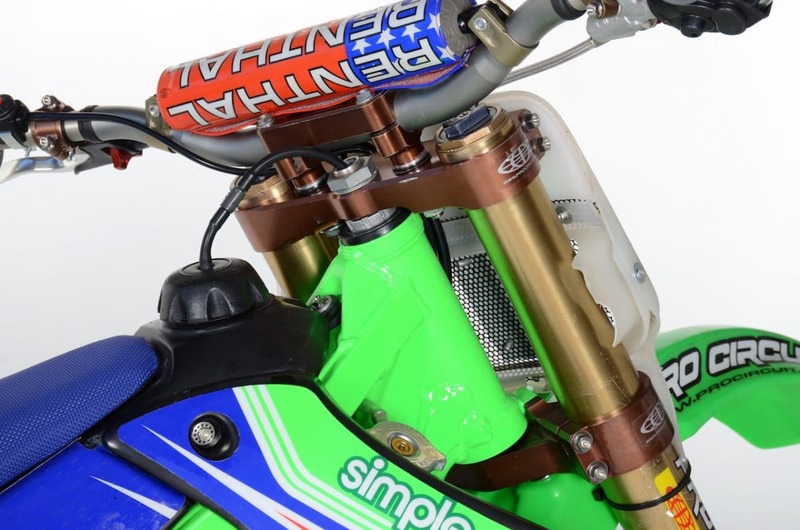 Pro Circuit has been in the suspension linkage game for a long time. They now make versions of these parts available to the masses. Pro Circuit factory clamps from the era and works suspension. Yep! Bilko found both a fork and shock setup. Yes it’s ready to ride built by legendary suspension technician Jim”Bones”Bacon. 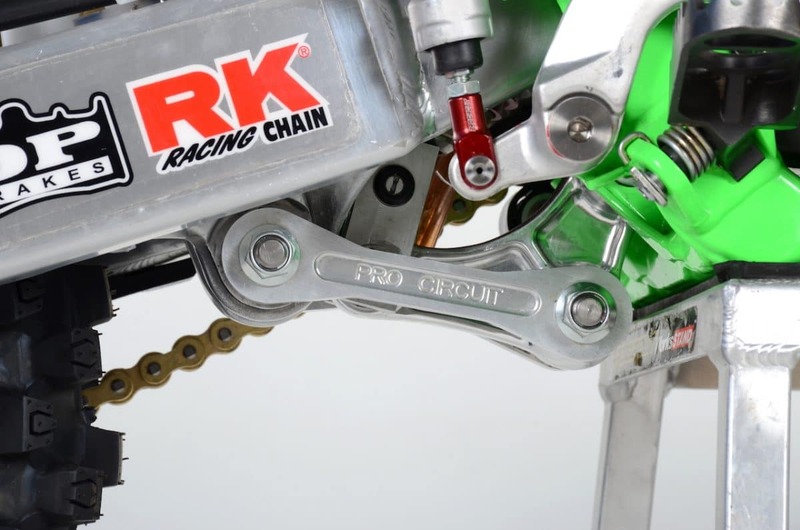 Bilko went above and beyond finding parts and having the fabrications done so those parts would fit on his KX125 build. 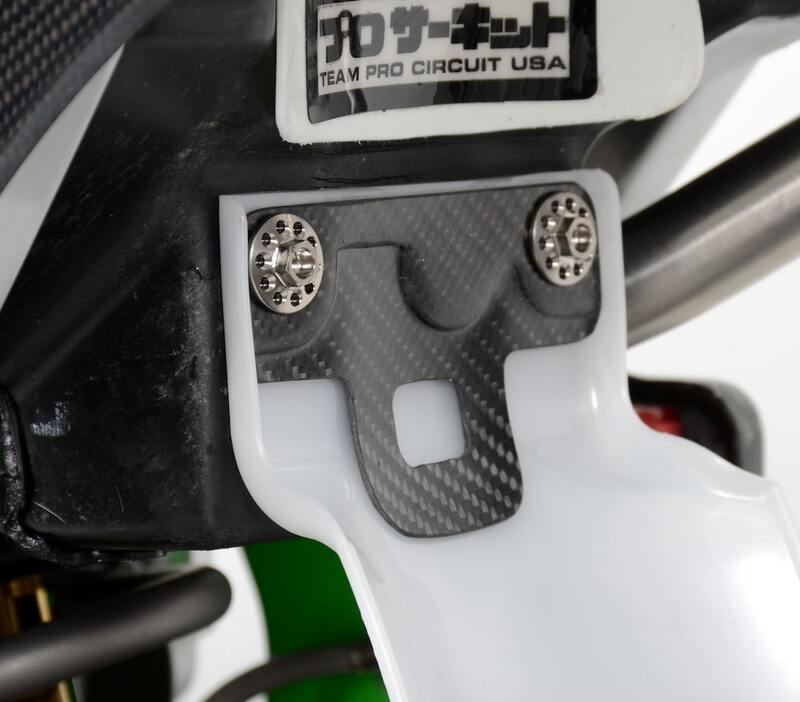 The mounting tabs for these carbon guards are not stock and we have no idea where he found the actual carbon plates. When asked about it he just smiles. Bilko is all smiles with his finished KX125 project in the studio for a few different reasons. It’s finally done, looks amazing and fulfills a childhood dream. Sounds like a successful build to us! Factory parts inside and out! 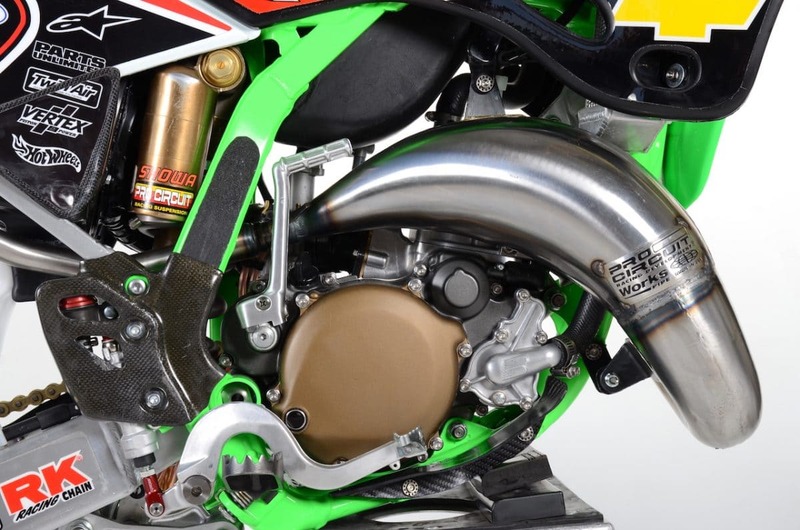 Bilko convinced Mitch Payton himself to replicate the team specs internally and the closer you look at this image the more factory parts you will see. How many items can you find? This is the real deal! Unlike today this carbon silencer was produced only for the Pro Circuit elite athletes. 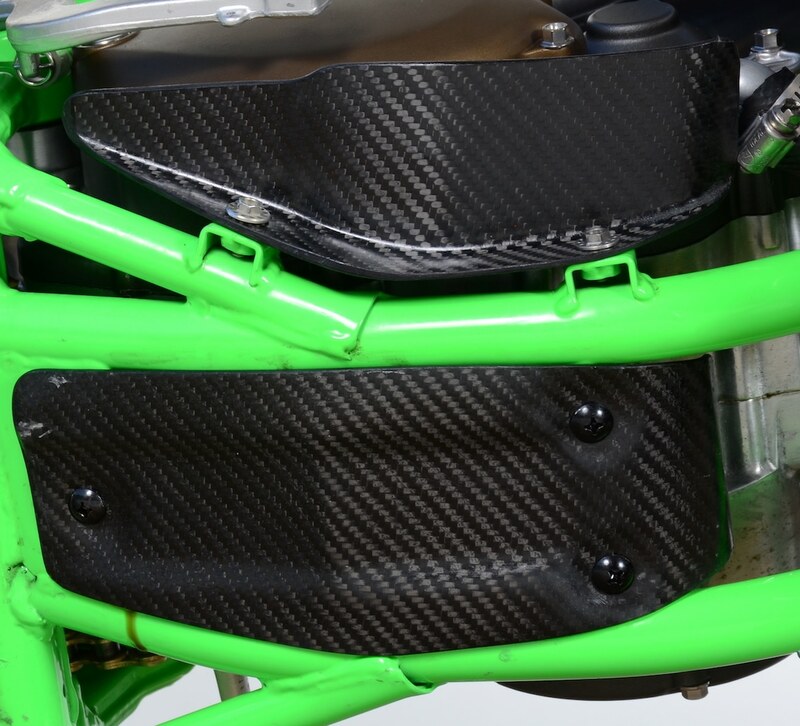 PC now offers a titanium/carbon fiber unit to the general public for most popular two-stroke models. 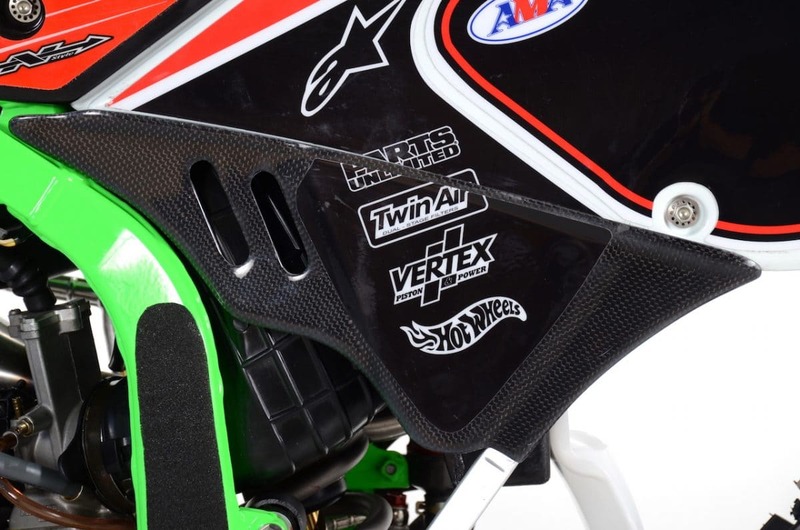 People all over the world are reproducing carbon fiber pieces and this airbox cover is one of those items. Bilko admits he spent a lot of time on the internet tracking down parts from all over the world for this build. Oldschool, elbow grease and modern day technology all rolled into one. 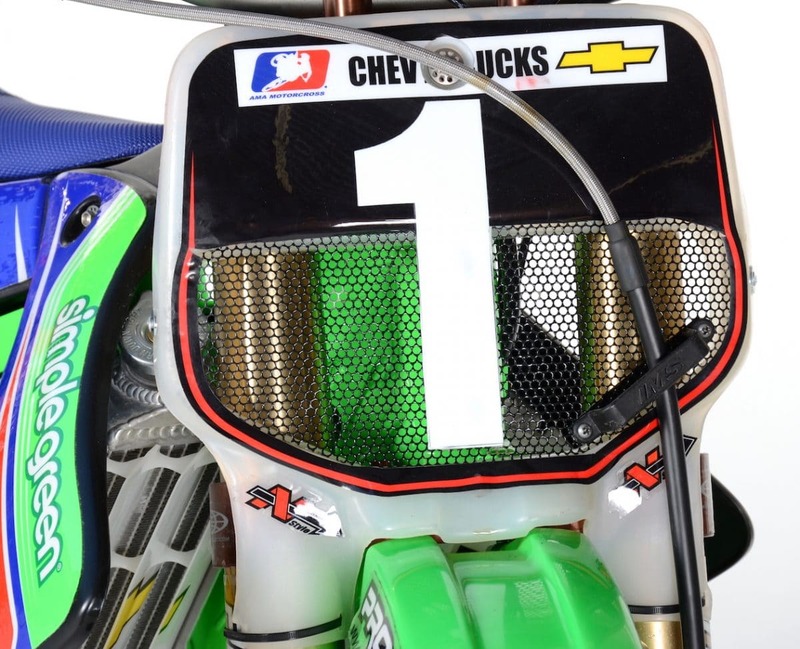 This front number plate was completely factory back in the day and is another item we asked Bilko about and just got a smile with no real information. We will get it out of him eventually for the magazine feature. All in the details! This is another item that was reproduced specifically for the build. Thanks to Blake Williams for letting us be apart of this build and we look forward to telling everyone the entire story in an upcoming issue of the magazine. The MSV Racing “phi” Impeller took 2 years worth of R&D, 3D printed flow bench tested designs and MX track race temperature testing to get to the impeller released just days ago. If you like the small-bore early ‘2000s 2-Stroke featured on this week’s Two-Stroke Tuesday you might want to check out this 2003 Honda CR125 build. Click the image below for more information!